He is something like a cross between the protagonists from Hitchcock’s Spellbound and To Catch a Thief. 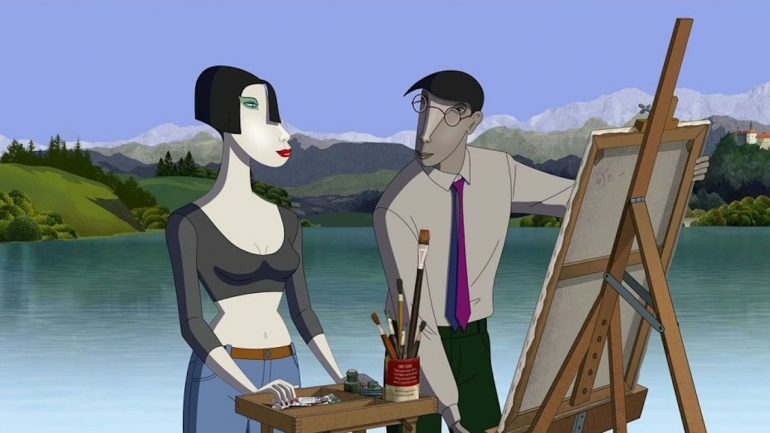 Dr. Brandt is a world-renowned head-shrinker, who is fully capable of curing his own inner demons, but his therapy is literally criminal. With the help of his patients, he will steal what troubles his psyche. 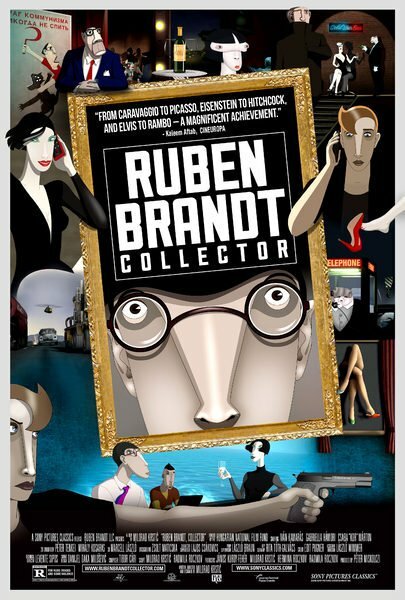 “Possess your problems to conquer them” is one of the principles of his treatment, so the good doctor will take possession of some of the world’s greatest works of art in director-screenwriter-animation designer Milorad Krstić’s sly animated caper Ruben Brandt, Collector (trailer here), which opens this Friday in New York.